Can I double-glaze an existing window? For most people, double-glazing is synonymous with energy efficiency and comfort. The short answer is yes, you can double-glaze many existing windows. But you might not get the outcome you are looking for unless you consider all the associated implications. In this article I’m going to walk you through all the ins and outs of double-glazing existing timber windows. Yes, we have done it. Yes, we will do it again. Yes, we could sell a lot more double glazing if we wanted to – because that’s often the first thing people ask for. But I’m not here to sell you double-glazing. In fact, I’m going to show you why we rarely recommend it. 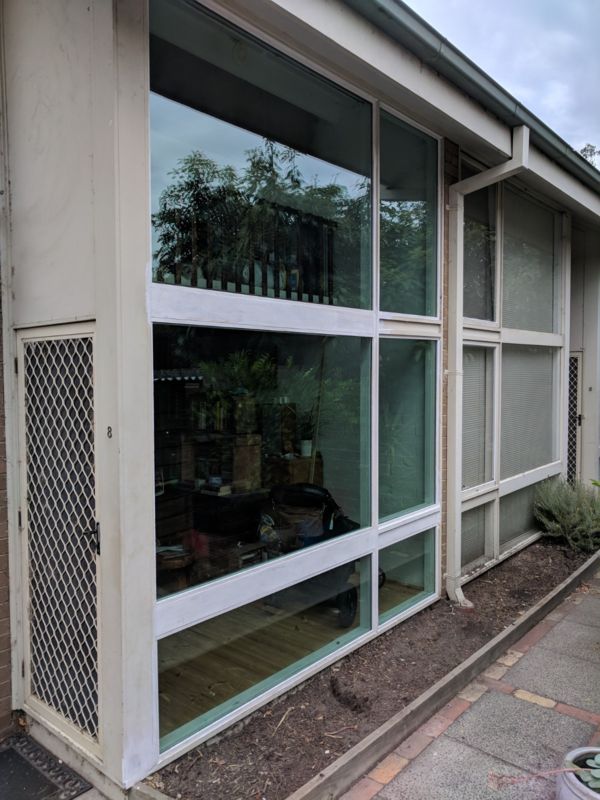 So that you don’t think we’re just running down double-glazing, take a look below at a job we did retrofitting double glazing into some 1970s windows. We were really proud of it, and the customers were really happy. But even so, we still rarely recommend it, and this article will tell you why. 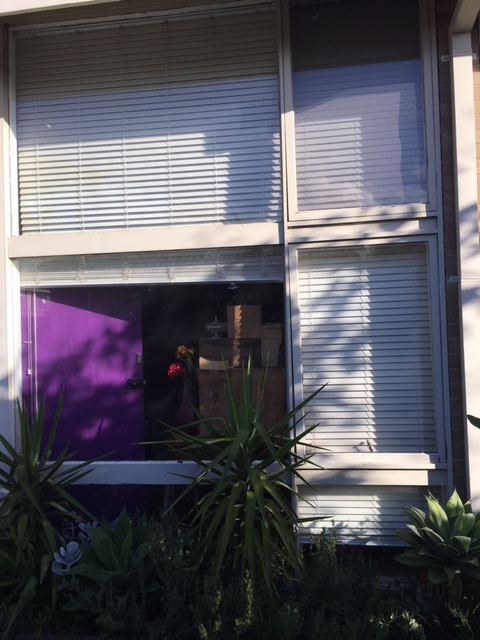 The windows in this unit were typical of many dwellings from the 1970s. Before works, the windows were badly rotten. The owners’ corporation was about to fill this rot with builder’s bog before repainting. After we rebuilt and reglazed the windows with double-glazed units comprising 5mm toughened Supergreen glass, a 10mm air gap and 5mm toughened low emissivity glass. Need help figuring out what to do with your old windows? Our friendly team of window experts is here to help. Book a free, no-obligation phone call to discuss your project today. The first thing you need to ask is: do you really want to buy double-glazing? Or do you want to buy the benefits that you hope double glazing will bring? Generally people are trying to make their house warmer, cooler and/or quieter. Whatever your priorities, they need to be considered in the context of the window as a whole, and also of your home. Click the relevant topic below to explore your options. Sometimes, you might choose a tinted glass to cut solar heat gain as much as possible. (That’s what we did when we repaired those windows in the photos above). When you are clear about your priorities, you begin to see that you have a lot more options than just double-glazing. Now the fun begins trying to decide from the available options! So, let us give you some pointers to help make the decision easier. Double-glazing is expensive. If you add it to poor quality, draughty windows, you are throwing good money after bad because the benefits will be at least partially offset by underlying problems with the window. If you have to deal with repair issues, it is most cost-effective to do that at the same time as reglazing. Otherwise you will have to come back later to get a proper repair done. Even a good window can be draughty. This is especially true of old double-hung windows. The design of these windows is inherently draughty unless a comprehensive solution is installed. What’s the point of installing fancy glass if you’ve got air gaps all around it? It’s all very well and good to make your home warmer in winter. But you also need to get fresh air in. 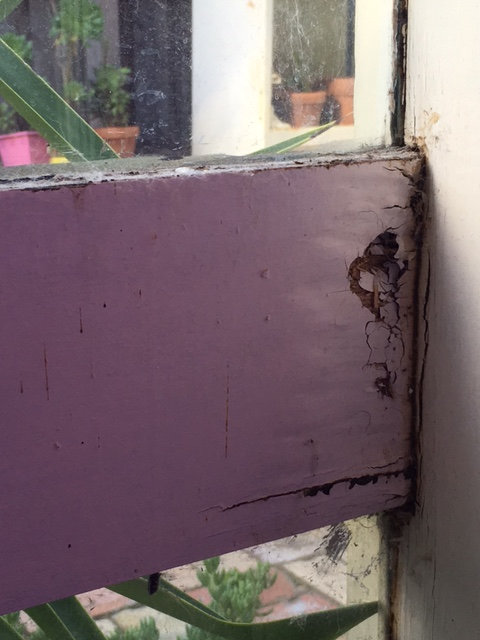 Some double-glazing retrofit solutions involve permanently closing part or all of a window. Don’t do that unless you are really confident you never want to open the window properly. 4. Don’t install double-glazing in an existing window if the same money could be better spent on other measure to improve the same outcome. Often retrofitting double-glazing is a relatively expensive choice. You might be better off spending that money on other options. If a window was originally built for single-glazing, it is unlikely the timber is deep enough to support a proper double-glazed unit. Even if it is, the joints, pulleys, balances, and hinges will need reinforcement or replacement to accommodate the extra weight. Don’t rely on someone who only sells double glazing to give you accurate advice on the suitability of your windows. 6. Don’t install double-glazing in an existing double-hung window unless the counterweights and balances are properly adjusted. If you have a double-hung window, it will have either ropes and pulleys or spiral balances (these look like a plastic tube at the side of the window). If you have cords and pulleys, the pulleys will need to be replaced with heavy duty pulleys on bearings. The ropes will need to be reinforced. And you will need lots of additional counterweight on the other end of the rope. Usually this will be using lead rather than cast iron, because you usually can’t fit enough cast iron in the weight pockets. If you have spiral balances, be aware that conventional spiral balances that you buy at Bunnings or in the general retail market are NOT rated to carry the weight of a double-glazed unit. You must install heavy duty balances that are specially designed for that weight of glass, otherwise the balances will break within a year, and you will need to get them all replaced with proper ones at great expense. It’s better to get this right first time. So when should I retrofit double-glazing into my existing windows? If your windows are strong enough and big enough; if repairs are taken care of; if air gaps have been filled; and if you can’t spend the same money on more effective things in your home; then it might be the right time to think about retrofitting double-glazing into your existing windows. If you want to talk to a window expert who understands all your options, and who will listen to your priorities, talk to one of our team. We are here to help.